In 1780 an African prince, Mamawalde of Abani (William Marshall) and his wife, Luva (Vonetta McGee) attend a dinner party at the home of the gracious Count Dracula. After the other guests have gone, Mamawalde and Luva remain for a private word with the count. After a brandy and some banter, the prince asks the count if he will side with him publicly in his mission to outlaw slavery in Europe. Instead of support or an argument, Prince Mamawalde gets laughter and a bite on the neck. The evil count imprisons the newly undead prince in a sealed coffin and his wife in an attic prison beside him. Cut to the 1970s and a couple of flamboyantly and stereotypically gay antiques dealers buy the entire contents of Count Dracula’s castle and ship it to Los Angeles to sell in their shop. Of course they buy the coffin too and in doing so unleash Blacula on an unsuspecting Los Angeles. Blacula cuts a swath of murders across the city which prompts criminal psychologist Dr. Gordon Thomas (Thalmus Rasulala) to investigate. Thomas’ lab assistant and girlfriend, Michelle (Denise Nicholas) also happens to be the sister of Tina who looks amazingly like Blacula’s long lost love Luva. So there you have it. Blacula and Tina/Luva fall in love instantly and despite her friends’ suspicions that Mamawalde comes on a little strong and creepy, Tina launches into a passionate affair with him. All hell breaks loose and then you have cops chasing a vampire through the nightclubs and warehouses of 70s LA. 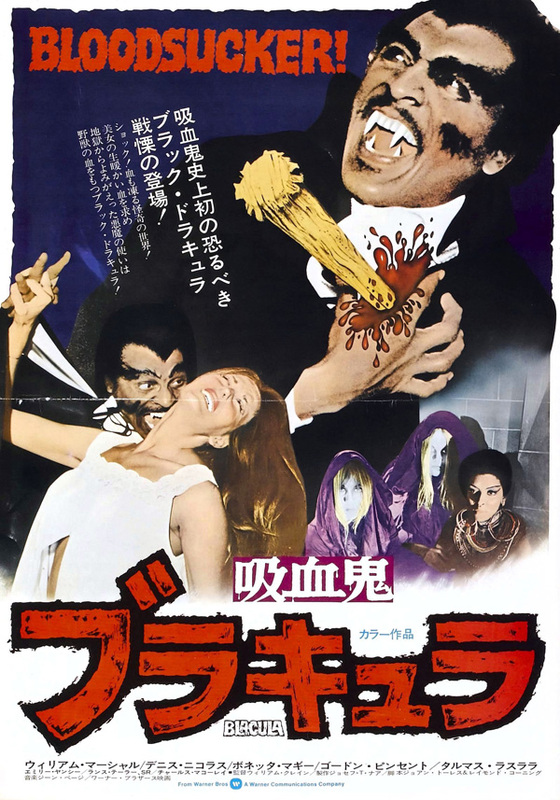 Blacula is a fun film and despite the blaxploitation label and rather obvious title, the film isn’t the racist mess I was expecting. The main characters have some depth and don’t fall into Huggy Bear-like stereotypes. The story is compelling and the action scenes look great. 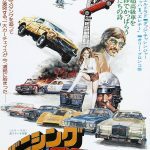 William Crain who directed the Mod Squad and Starsky and Hutch television shows along with this film, knows how to move a story along and the cast, veterans of film and television, do a fine job in their roles. There’s some real chemistry between the two main couples and even though it’s an exploitation film, you care about the people in it. Elisha Cook even makes an appearance as a mortuary worker with a hook hand. You heard me. Gene Page, who arranged some of Barry White’s biggest hits composed the soundtrack and The Hues Corporation, famous for the hit song “Rock the Boat” perform in a few nightclub scenes. It’s a good time!